When a large diesel or gas powered two/four stroke engine or turbine is used, large quantities of air are drawn into the equipment for combustion purposes. These Air induction systems may be naturally aspirated or use turbo chargers or compressors to increase the air pressure fed into the fuel mixing chambers or cylinders to increase efficiency or performance. The speed of the air entering the system can create a substantial amount of noise. In addition, the high rotating speed of the turbo charger or compressor, which is directly connected upstream in relation to the intake position, may cause noise to be radiated down the induction pipe and through the intake filter and so out into the atmosphere. This is particularly noticeable on very large rotating induction systems where the noise levels may exceed 120 dB in the higher 2000 to 4000 Hertz frequencies. 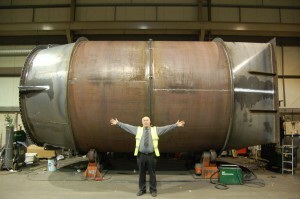 IMS can provide a solution through the use of various forms of annular or rectangular intake silencers. These can be made in an appropriate size to suit the characteristics of the flow system. The available designs vary from the simple annular ‘clean straight-through’ acoustically packed intake silencers such as the FP type, or designs with a central pod or annular splitters such as the FPC or FPS types. These units can be placed between the engine and the corresponding filtration unit. 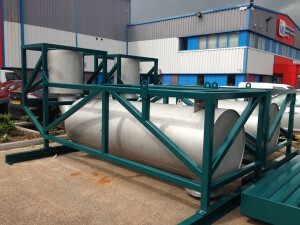 Alternatively, in very large applications, we are also able to offer single or multiple framed banked systems or rectangular parallel type splitter units to cater for even the largest air intake flows at very low pressure drops. 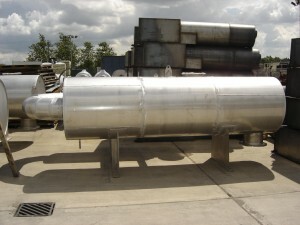 These can either be positioned before the filter housing system or upstream from it.